Both players have signed deals to remain at the Ageas Bowl until at least the end of the 2020 season. 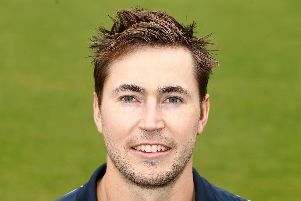 Opening-batsman Soames impressed for Hampshire’s second XI this campaign. His form was rewarded with a call-up to James Vince’s side for their final four County Championship division one matches. Came, a 20-year-old top-order batsman who has graduated through the Hampshire youth system, also caught the eye for the second XI this term. He notched 951 runs across all formats. Giles White told of his delight after tying the duo down to new contracts. Hampshire’s director of cricket said: ‘Oli and Harry are both exciting prospects and we’re delighted they’ve committed their future to Hampshire. 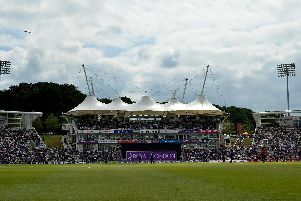 However, Chris Sole, Asher Hart and Calvin Dickinson’s Ageas Bowl journeys have come to an end after their contracts were not renewed. White added: ‘Unfortunately it’s that time of the year where tough decisions are made.